Becky isn’t your typical individual. She is an athlete. In 2007, she became an Olympian when she traveled to Shanghai to compete in the 2007 World Special Olympics. But Becky and her family were seeking something more, and Project SEARCH® was able to fill the void. Upon graduation, it was clear that a career in fitness would be the perfect fit for Becky. And that is how she became part of the team at the Jim Dailey Fitness and Aquatic Center. As part of Becky’s daily routine, she ensures the cleanliness of the fitness area and equipment. Her warm and inviting personality makes people feel welcome and at home. 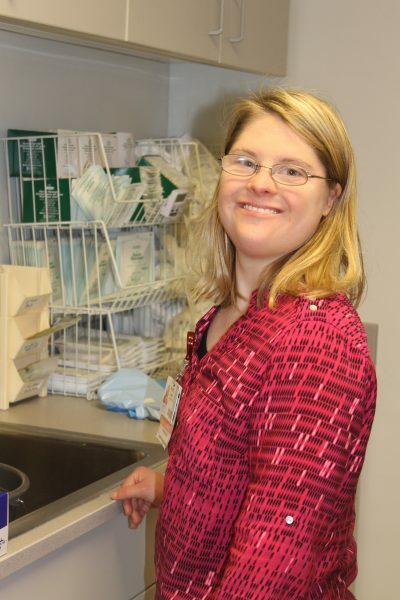 Project SEARCH Arkansas is a nine-month internship for adults with disabilities ages 18-35.